While a number of books were published on Netaji Subhash Chandra Bose and committee and commissions set up to solve his mystery, a living witness and close companion of Netaji was never contacted by anyone. Nizamuddin, a 107-year-old man who claims to be the driver of Netaji in Azad Hind Fauj (AHF), lives in Islampura, Bilariyaganj, in Azamgarh district. He claims to have spent four years with Netaji after joining the AHF in 1942. The TOI team also visited him sometime back. Recently the volunteers of a local organisation also went to his place to honour him. Nizamuddin was also sure that Netaji was not killed in the plane crash in 1945. "How can it be possible when I had dropped him by the car on the banks of Sitangpur river near the boarder of Burma and Thailand about three-four months after the incident of plane crash?" he wondered. He has no idea what happened after he dropped Bose on the riverbank. 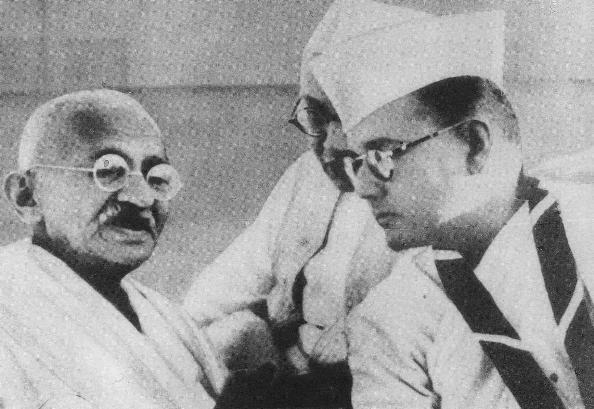 He said that he insisted to accompany Netaji, but he was commanded to return with a promise of meeting again in Independent India. But, he recalled his meeting with Swami, a close associate of Netaji, over 10 years ago. Swami was in regular touch with Netaji. According to the repatriation certificate issued in favour of Nizamuddin, Swami (full name SV Swami) was the chairman of the Relief and Repatriation Council, Ex Azad Hind Fauj and Allied Organisation, Rangoon. It was the only document Nizamuddin has with him that shows his association with AHF. In 1969, he returned to India with his family and settled at his ancestral house in Dhakwa village. Later, he shifted to Islampura.